The other day, my husband Marcus made some Easy Miso Roasted Broccoli. He shared a picture of it in my Facebook group. Since it was so well received, he thought to make it over again for the blog. The first time, he didn’t measure anything. However, the second time he did, so I can share with all of you! In case you were wondering, you can find miso paste in the refrigerated section. Near the tofu and other Asian products. Almost any health food store will have it. I got mine at Whole Foods. 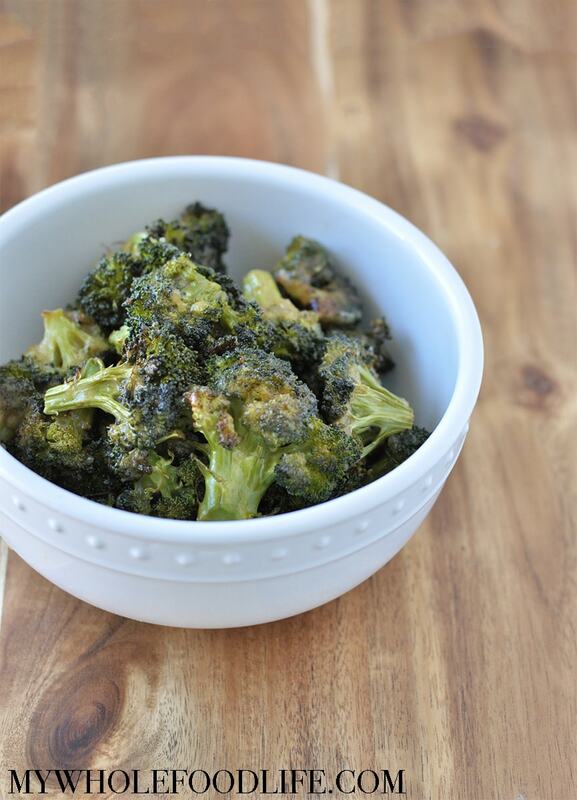 This broccoli is so delicious, you will want to just eat it off the tray! The perfect side to any protein So good you will want to eat the whole batch at once! Place broccoli florets onto lined baking sheet . In a small bowl , mix all ingredients together for the glaze. Brush glaze over broccoli. Cook for another 5-10 minutes. Sounds amazing! Do you know about how many cups of broccoli that would be? I am lazy and buy the bagged broccoli. If I had to guess, I would say 3-4 cups? When you say to brush the broccoli with oil you don't mean the sesame oil do you? The sesame oil is part of the glaze isn't it? I'm a bit of a newbie so I need to ask. :). This was outstanding! I am going to try the same recipe using Asian Veggie Mix. Thank you!!! I'm so glad you liked it Sherri!